In October 2015, the Division Bench of Justices Masoodi and Janak Raj Kotwal ruled that the Article 370 is permanent provision of the Constitution and that it can’t be “abrogated, repealed or even amended”. 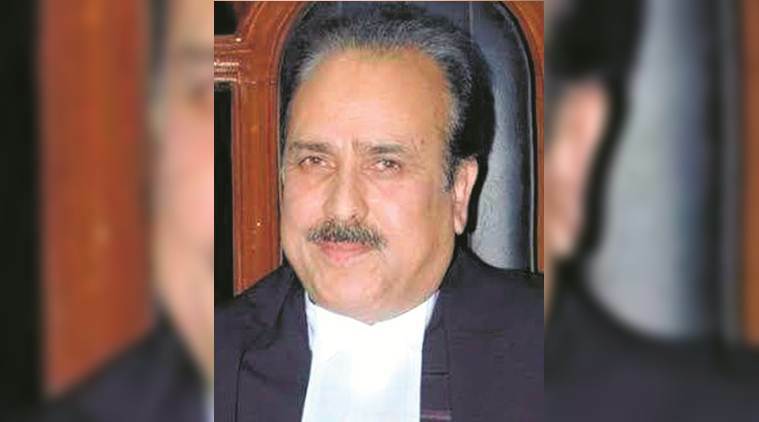 While he was seen being close to the National Conference, Justice (retired) Hasnain Masoodi’s jump into politics has come three years after he retired as a judge of J&K High Court. Barely a few months before his retirement, Masoodi had passed a landmark judgment on J&K’s special constitutional position. In another significant observation, five days before his superannuation, Justice Masoodi had ruled that the “conversion of the post of ‘Sadar-e-Riyasat’ (Head of the State) into Governor was unconstitutional” and had asked the state legislature to “make measures to uphold the constitution”. Justice Masoodi has also directed the government to hoist the state flag on “all official buildings and vehicles” of constitutional authorities.